Good news for the Forgotten and GalCop. Military Militia, a XBOX group, did join GalCop. This gives the players from us who do play on XBox the chance to meed more friends out there in the dark. 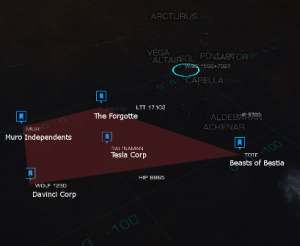 Welcome in the Helicon's Peak Expedition, CMDRs. 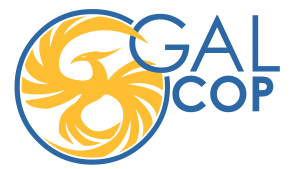 Here you will find informations and suggestions about the first Pegasi Sector Commonwealth expedition. Where we will go: We will reach the Zarura Ship trying to follow the originary path, searching for as many informations possibile. What we will do: We will take the right time to explore nearby every POIs in the planned route. Now we know exactly what the original expedition was searching for. Now, the questions are: have they found it? Have they left something beyond? What we will expect to find: The best expediction result should be finding data log, crash site, other artificial devices. Considering the "premonition revelation", we expect some other forces will soon arrive to investigate or to give support to the the cover up. Probably they will be military ones. We also know that the entire Zurara's crew was killed by a sort of neuronal agent; probably to protect this weapons and to hide what happened. There is the possibility that some sort of defences are still active. The link between the Rift and the Targhoids is well known. We cannot exclude some non-human encounter. This is why we will go armed. The PSC Command is spreading the idea this is a pure explorative expedition. trying not to attract too much curiosity about it. Telling the true, also the military reconnaissance has a great importance. 1) Explorers: Classical high jump range ships, with a light weaponary, shields and armour with all the necessary for prospecting and exploring. Because the unknow dangerous we can encounter, classical stripped not armed fits are not allowed. 2) Armed Scouts: The military part of the fleet; fast, armoured and best armed ships, capable of find any threat and engage it.Scouts are also low fitted for exploration and ground reconnaisence. 3) Large support ships: Logistic well armed ships, capable of an impressive amount of fire, in case of emergency; they can be used as little motherships and mobile HQs for the expedition. Because of the fact we are all friends, we did decide to make it official. 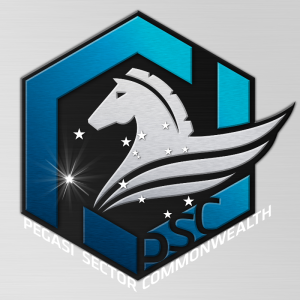 I would like to introduce the Pegasi Sector Commonwealth. Every Member of The Fogotten is automatically a Member of the Pegasi Sector Commonwealth. Our long time member Captain CTGuy is now responsible for our diplomatic contacts. The fleet command wishes him success in everything CTGuy is doing. We know he is the best commander for this job! Any battles or duels would be to either shields down or hull down to an agreed%. No need to book, just turn up at 20:00 UTC (which is the same as the ingame clock) and Roentgen in LFT 37 (on a Friday in Big Pappas Private Group). 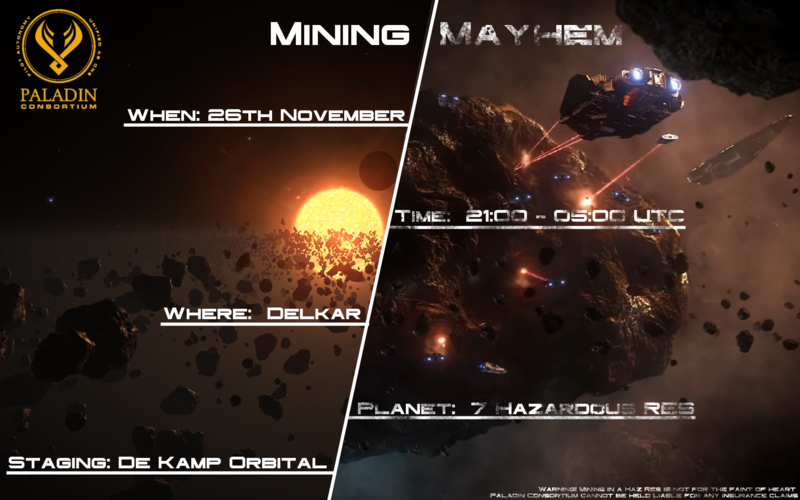 When you arrive, shout on Discord or local chat and organise yourselves. Or if you just have lots of question, jump straight into the Discord chat, no need to be at Onnes. Our friends the paladins plan a nice fun event. It would be amazing if we could participate .. best with our Medusas! Who does wan’t to come and and has a Cobra MKIII should come with it … if you miss the paintjob say “paintjob” in time ..
Of course you can also come in your type-9 or Conda or Sidey … doesn’t matter … only think about that you will explode a couple of times. commander Totha is lost on his journey through the galaxy after a malfunction on his ship. We need to find him. Read about this on http://cmdr.totha.co/. This is for you … Totha is on his long journey back from Colonia to our all home. Follow him on his long trip through the dark galaxy.